Check your email (and spam folders), He-Fans and She-Ravers! It's another Sneak Peek from Mattel. 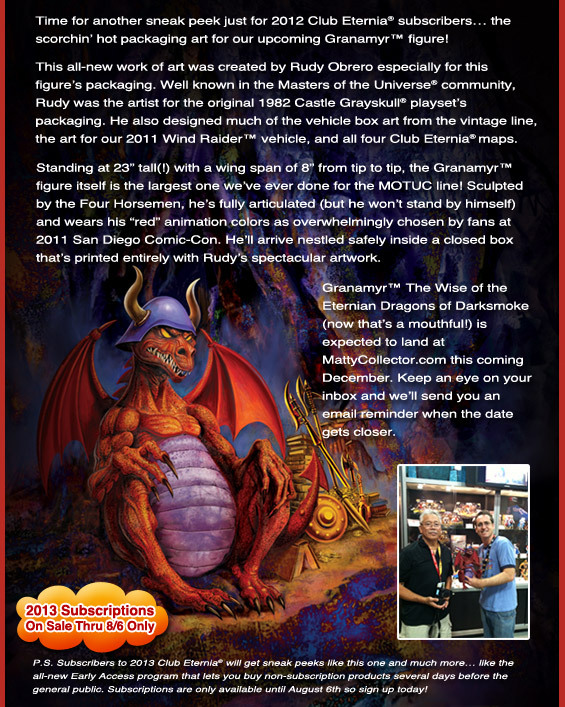 This time it doesn't feature an actual figure, but the artwork on the packaging of the upcoming Granamyr figure by longtime MOTU artist Rudy Obrero!